What's the meaning of the phrase 'Have an axe to grind'? To have an axe to grind is to have a dispute to take up with someone or, to have an ulterior motive; to have private ends to serve. What's the origin of the phrase 'Have an axe to grind'? Ax or axe? The spelling more commonly used in America is ax and, in Britain, axe, although in neither nation is there consistency. 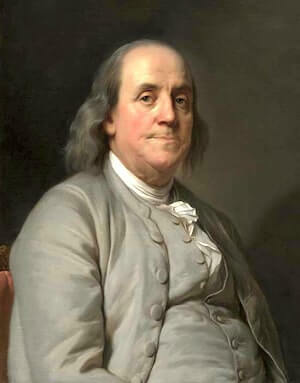 The phrase, in its having private ends to serve meaning, is commonly attributed to Benjamin Franklin. Other opinions point to another author who, like Franklin, lived in Pennsylvania, USA - Charles Miner. It is difficult to trace the origin, as both men wrote and printed cautionary metaphorical tales concerning the sharpening of axes. Franklin sent a story called 'The Whistle' to a friend in 1779. This concerns a child who paid more than he should have for a whistle and later regretted his lack of caution. Franklin's autobiography, which was written between 1771 and his death in 1790 and first published in 1791, also contains an anecdote concerning a man who asked a smith to sharpen his ax especially well and ended up doing the work of turning the grindstone himself. Neither story mentions the phrase an ax to grind. "When I see a man holding a fat office, sounding 'the horn on the borders' to call the people to support the man on whom he depends for his office. Well, thinks I, no wonder the man is zealous in the cause, he evidently has an axe to grind." "When I see a merchant over-polite to his customers ... thinks I, that man has an axe to grind." The meaning that is usually given to the phrase in Britain is having a dispute to take up or point of view to express. Again, it isn't easy to trace the source of this usage. It may be that it migrated from the USA. The sense of having an agenda is common to both versions of the meaning and it doesn't seem likely that the two versions of the phrase arose independently.